California may be America’s clean-energy capital, but let’s give Iowa and North Dakota some credit too. 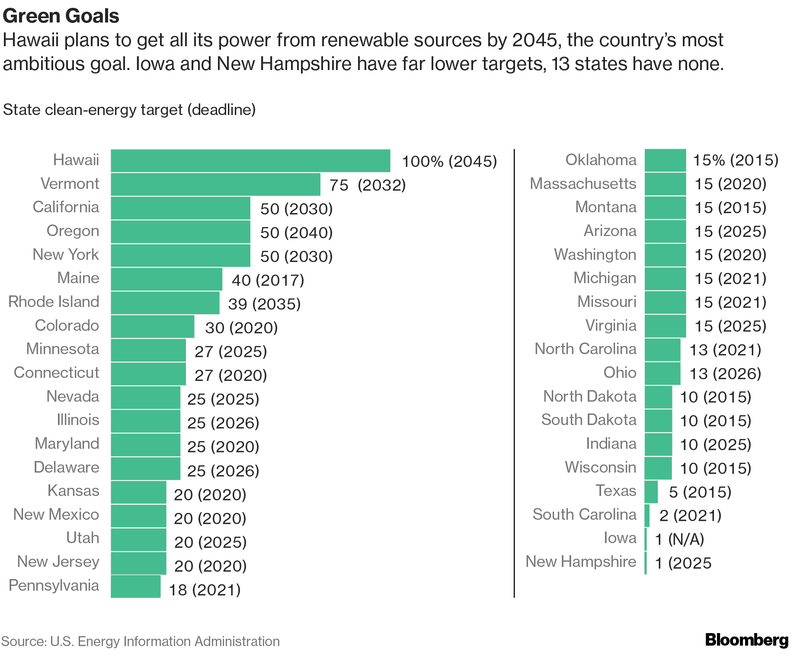 The disparity between a state’s green goals and its green power show that economics, geography and population can play a larger role in renewable energy development than policy. California and New York have some of the most aggressive targets in the U.S. 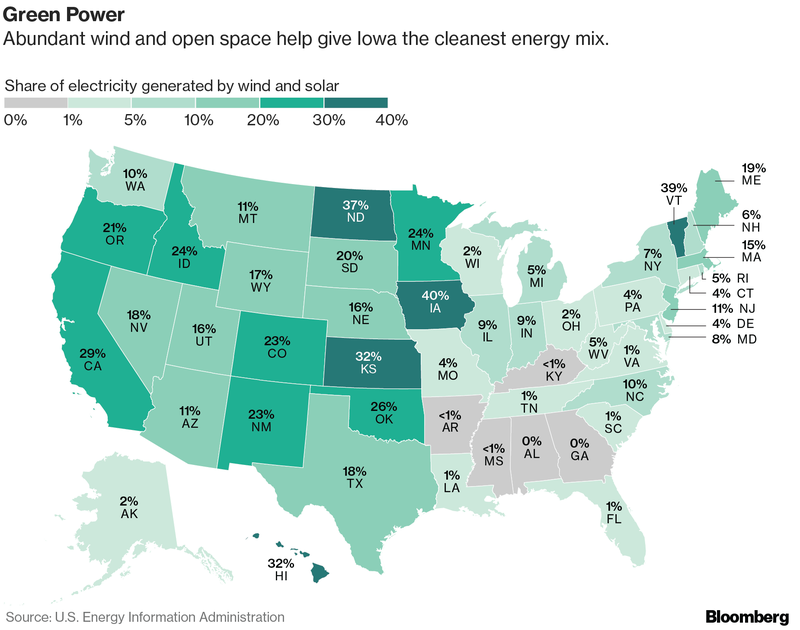 But Iowa and North Dakota still have higher ratios of clean energy. Much of it boils down to geography. Iowa and North Dakota have the advantage of being largely flat, treeless and sparsely populated. That’s ideal for wind farms. Another issue is scale. California’s full generating capacity is 75.8 gigawatts, including fossil fuel plants, solar, wind, hydroelectric dams and other renewable sources. That’s four times greater than Iowa and nine times more than North Dakota. So the Golden State needs to build a lot more wind and solar farms to outpace the clean energy in smaller states. Nonetheless, state policies matter, Lips said. Take New Jersey, the most densely populated state in the nation. While that leaves little space for wind and solar farms, clean energy still provides 11 percent of its power, matching the national average, thanks to aggressive policies promoting solar development. In the long-run, the green ambitions of California, New York and other large states may surpass smaller rivals. Critics scoffed in 2009 when California set out to source 33 percent of its electricity from renewables by 2020, saying it would be too costly. Eight years later, the state is already at 29 percent. “Everyone was a little surprised how well we did,” said Peter Miller, a western states director at the Natural Resources Defense Council. California is now aiming to get 50 percent of its energy from renewables by 2030. If Brown gets his way, the state will shoot for 100 percent by 2050.